A fishbone example of marketing strategy is presented here. With this easily customizable fishbone template, users can represent any existing fishbone diagram. 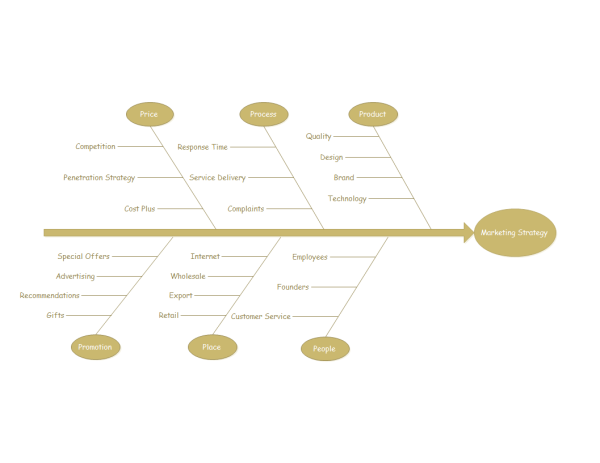 The marketing strategy fishbone template can save many hours in creating great fishbone diagram by using built-in symbols right next to the canvas. You can download and modify this template for your own use. 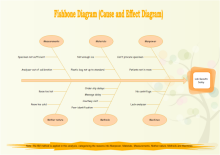 As you can see from the above example, Fishbone diagram is quite suitable for illustrating causes of a problem or solutions for an objective. 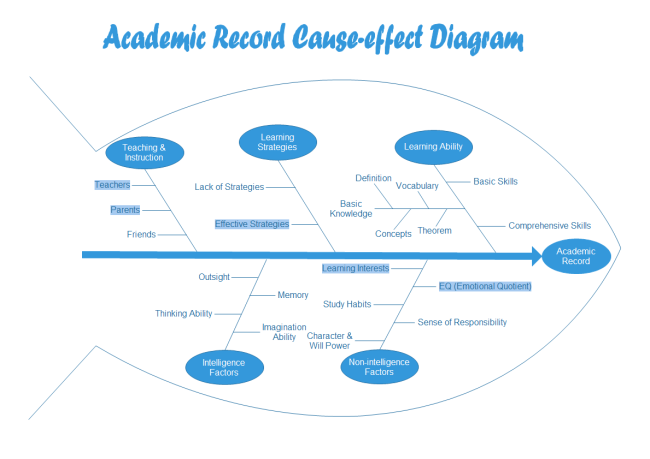 In this example, all factors are divided into 6 categories. 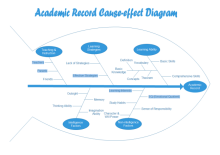 Each category is presented by a branch with the title highlighted by a ellipse shape. 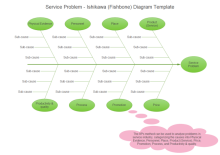 This is a special feature of Edraw Fishbone Diagram maker. Another kind of category shape is rectangle. These shapes can be connected to the bone automatically. They also have connection points so that sub branches can be linked to them easily. When lines are connected, the connection point turns red. Refer to for detailed guide about more symbols. 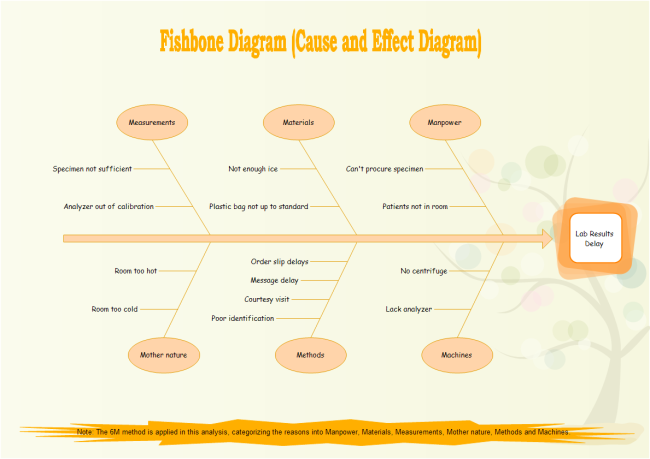 View more fishbone diagram examples to get more inspirations. These examples are free and download and easily editable.